In any case nobody has told you, you have, as of today, only 699 days left to live. 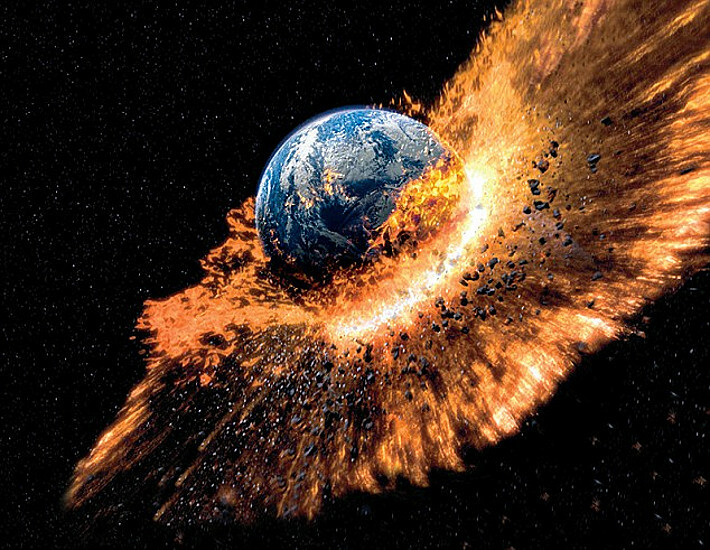 The world is going to end on December 21, 2012, according to the Mayan Long Count Calendar. So, there you go. You have been notified. Better get your life sorted out, right? Where am I getting this, you ask? Ok, here’s a little backstory. The Mayans, an ancient civilization in the Yucatan pensinula of Mexico back around, oh, the 5th century BC, developed a very accurate system of calendars and almanacs. One of these calendars, called the Tzolk’in, was used on an annual basis, having 365 days. Another calendar was used to measure long portions of time, and is commonly called the Long Count Calendar. Turns out that this calendar is used for really long periods of time–it started on August 11th, 3114 BC, and ends–you guessed it–on December 21, 2012. The Long Count Calendar turns out to be extremely accurate. It was used to provide information on the lunar phase and position of the Moon, the heliacal risings of Venus as the morning and evening stars, and can still be used to accurately predict lunar and solar eclipses today. The Mayans were centrally fixated with cycles, like many agrarian societies which rely on the accurate prediction of these cycles for planting and harvesting their crops. Interestingly, the Mayans believed that the current age was preceded by other four other ages, each with its own version of Earth, each fashioned in various forms by the gods and then ritually destroyed at the end of each cycle. And, of course, we are living in the fifth and final cycle. Which ends in about two years. So in a nutshell, that’s the basis for my new blog. The world is doomed, we’re all going to die. But–what if it were true? And you knew the exact time that you were going to “shuffle off this mortal coil?” The world really is going to end 699 days from now. You only have this finite period of time to complete your bucket list, to neatly wrap up your entire life, to fulfill your destiny and accomplish everything that you want to complete. Just under two years, and then <click> oblivion. What would you do differently? How would you treat the people you interact with every day–and not just your loved ones; those close to you? The guy who cleans the floors in your office building. The parking attendant that you silently hand your ticket to every day. Those punk teenagers who always get in the way at the gym. Would you be content to sit in your home and play Xbox like always, or would you actually get out and do something? And what? And would it have any effect, considering this unavoidable, utterly final roadblock to the expanding cosmos? So, my hope is to record the next 699 days on this blog, keeping the mindset that the world truly will end on 21 December 2012. Willl I do anything different? Will my life drastically change? Who will be coming along for the ride? We’ll just have to see. But it sure would be neat if something happened.